Many celebrities have chosen Lake Como as their vacation hotspot and purchased luxury villas and grand palazzos on the lake’s shore. If you enjoy a home exchange at this popular destination, you might be lucky enough to catch a glimpse of a celebrity hiking in the beautiful landscape or relaxing in one of the many opulent spas. In addition to Madonna, Matthew Bellamy, Sylvester Stallone and Ronaldinho, here is a small selection of the famous faces who own properties on Lake Como. 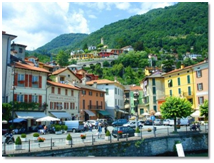 George Clooney owns Villa L’Oleandra in Laglio, only a stone’s throw away from the lake itself. Beautifully decorated and impeccably furnished, this grand palace was the backdrop for a number of scenes in the movie Oceans Twelve. Villa L’Oleandra became such a popular tourist site that the mayor of the resort was forced to introduce a fine to deter groups from gathering outside. Talk about dedicated fans! Best known for Virgin Records and Virgin Airlines, Richard Branson owns a stunning villa on Lake Como. The recently renovated Villa La Cassinella is home to three hectares of landscaped gardens and can only be access by boat or helicopter for the upmost privacy. The scene in which Daniel Craig chills out and nurses his wounds in the movie Casino Royale was filmed in this villa’s beautiful grounds. Gianni Versace formerly owned a gorgeous lakeside villa in Moltrasio before it was sold for the incredible sum of $52 million to a Russian restaurateur and multi-millionaire. When Versace owned the property he restored the elegant neo-classic style to its true glory and furnished the villa personally. The world-renowned designer frequently said how the Lake Como villa was his favorite place to be and was where he would often throw lavish celebrity parties. 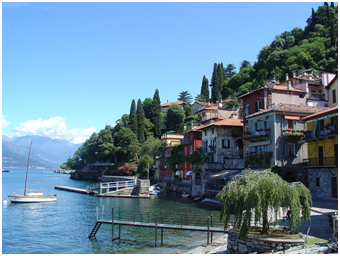 The charming region of Lake Como is found in the north of Italy, tucked away in the picturesque Lombardy region, and is the choice vacation spot for an ever-increasing number of A-list celebrities and multi-millionaires. 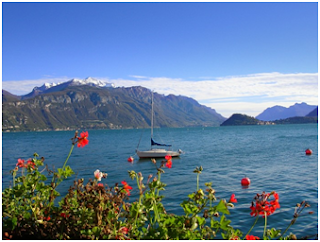 Only a short distance away from the boarder of Switzerland, this region is ideally located for a twin-center vacation. Like the idea of vacationing in Switzerland? Visit IVHE.com for luxury home exchanges in Switzerland. If you really want to vacation like the stars, Lake Como and Switzerland can even tie in with a shopping stop in the fashion capital of the world – Milan – to create a triple-centre vacation. Milan is less than an hour’s train ride away from Lake Como, so why not? Fall is one of the best times for a vacation home exchange in Lake Como, when the scenery is at its most beautiful. At this time of the year, the leaves on the trees framing the lake are beginning to turn all different hues of red, amber and gold and become pleasingly crisp underfoot during leisurely nature walks. The temperatures are still pleasantly mild during the daytime, so you can sail across the lake in a sensational yacht or feel the wind in your hair whilst windsurfing without worrying about getting chilly. The evening air brings slightly cooler tones which are perfect for hand-in-hand romantic sunset walks along the lake. This stunning five-bedroom, three-storey villa can sleep up to eight guests, making it perfect for families or friends looking for a peaceful waterside accommodation with plenty of space for everyone. Covering three acres of private ground, this property has been recently renovated yet still holds onto its traditional Italian charm . Within walking distance of the train station and ferry harbor, this beautifully furnished detached house is ideal for those who want to be in the center of it all. Just a stone’s throw away from the bustling promenade where you’ll find a plethoral of cafes and shops, this property scores a ten when it comes to location. This magnificent 300-year-old building has recently been renovated to create a vacation home exchange property you’ll never want to leave. With two fabulous bedrooms which can sleep up to six guests, this house is ideal for small groups looking for a bit of peace and quiet during their vacation. For more information about Lake Como, including things to do, sights to visit, town information and how to get around, be sure to check out www.lakecomoholidayheaven.com. 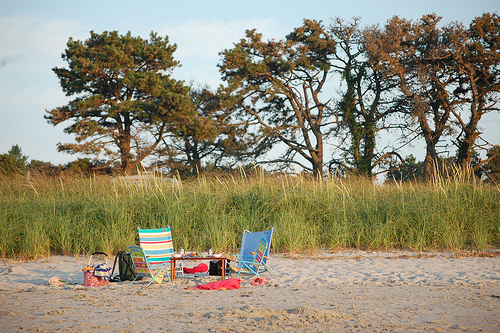 If you’re a member of IVHE vacation home exchange and want to get the most out of your vacation home, you’ll certainly benefit from finding out which amenities most people take into consideration when they’re looking for a home swap. With the internet and social media playing such a huge role in our lives today, it’s important that your home exchange property comes with a good WiFi connection. Having wireless internet access allows your guests to keep in touch with family and friends, play games and watch movies online from anywhere in the property during their vacation. If your property is in a rural area without a decent internet connection, consider getting a dongle for visitors to use during their stay. Using personal mobile phones abroad is a big no-no due to often ridiculous roaming charges. There’s nothing worse than coming home to a monster phone bill after your vacation, so consider leaving a cell phone with a pay-as-you-go SIM card – or even just the SIM card on its own – in your property. This way your guests will be able to make all the phone calls they want without the cost mounting up too much. Don’t forget to leave a list of useful local phone numbers on the phone or on a notepad next to it, too. 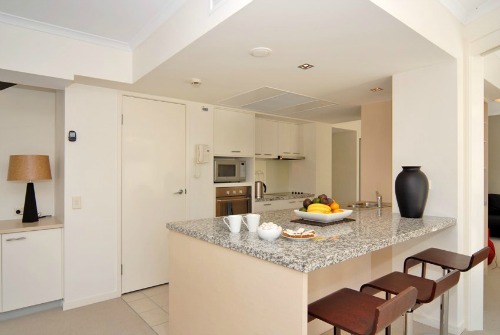 If you want to attract luxury home exchangers, provide as many appliances as you can in your kitchen. Space permitting, feature the following whenever possible: oven, stove, refrigerator, freezer, dish washer, microwave and coffee making facilities. Don’t forget the champagne flutes and even a complimentary bottle in the refrigerator – what better way to start a vacation than with a toast of bubbly? A glass of wine or beer is also a great way to relax on vacation, so make sure you have suitable openers so your guests aren’t left attempting to open bottles with their teeth! Don’t underestimate the importance of having a full-length mirror in the bathroom or bedroom. 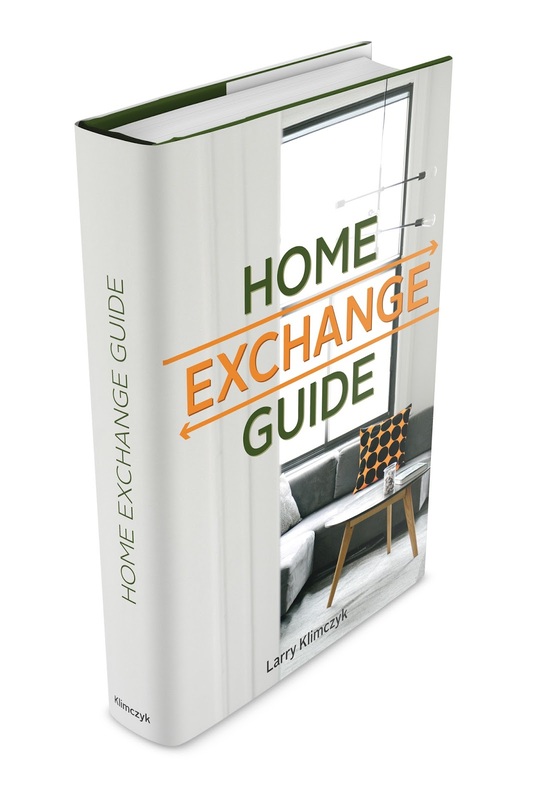 If your home exchange property isn’t your main home, you might have overlooked this small accessory, much to the horror of your guests – especially the female ones! If you can’t fit your kitchen out with all the latest and greatest gadgets, consider complementing it with picnic facilities. Whether this is in the form of a cooler bag, picnic basket or even just a backpack, providing your guests with the ability to venture into nature and enjoy their meal outdoors will really make their holiday. As you can see, the difference between having your second or third home occupied most of the time and having it sat empty really could be as simple as providing something as basic as a cell phone. If you want to get the most out of your home exchange property, run over the amenities and accessories you currently provide and improve on them where possible. 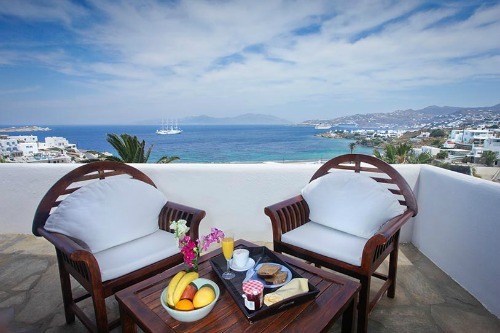 On the other hand, if you’re thinking about your next getaway, take a look at IVHE vacation home exchange’s extensive property portfolio and start planning your vacation home swap today.